Food and drink is undoubtedly one of the main centerpieces of a wedding day, so it's important to get it just right. As experienced Phoenix caterers, our aim is simple: to delight your guests with a mouthwatering dining experience and ensure that your big day goes without a hitch. We can take care of all your catering Phoenix needs, with freshly prepared, mouthwatering food and delicious tipples that are sure to impress. 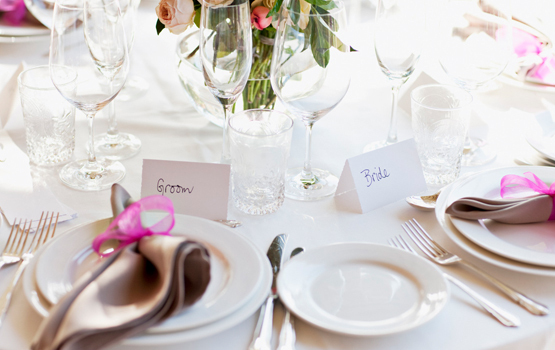 Unlike many catering companies in Phoenix, we don't expect you to simply choose from set menus. We will work with you to create your own menu and put together a delicious feast that is just right for your special day. From sit-down five-course dinners to delicious buffet food for an evening reception, we can do it all. To find out more about our wedding catering services, please get in touch with us today. From the smallest to the largest wedding, we will be pleased to meet your needs. Whether you are organizing an intimate charity dinner or a large high-profile corporate event, we have the capability and experience to deliver exceptional catering Phoenix that will delight your guests, while also providing great value for money. Whatever type of corporate event you are planning, we will work with you to put together a delicious menu that is just right for you and your guests. We offer a huge choice of mouthwatering dishes and tasty tipples, with enough variety for every taste. We aim to deliver the freshest, tastiest delicacies that will delight your taste buds. Whether you are inviting 10 close friends or 500 guests, we can meet your every need and provide exceptional food and drink, along with the very best service. From initial planning through to delivery, we work hard to ensure that your party is a complete success and totally hassle-free. With over a decade of success and service, our family business thanks DINEamics for the all-in-one Restaurant POS system hardware and integration support. Our aim is to offer the freshest and tastiest party food that will surprise and delight your guests. We will work with you to put together an inspiring menu of delicious foods and tasty tipples that are just right for your event, with a huge variety of options to suit every need. From finger food to three-course meals, we can do it all. If you're planning a party or get-together, get in touch with us today and find out more about how we can help you. As expert caterers in Phoenix, we can meet your every need and help you make it a party to remember. 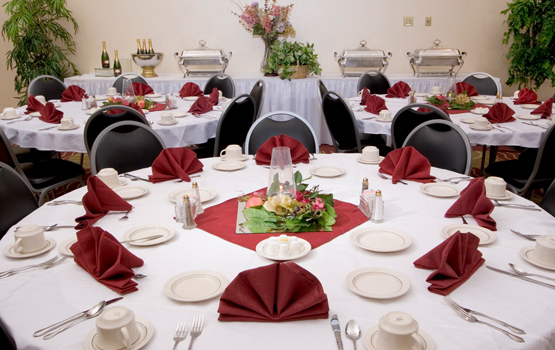 With many caterers in the Valley, we also highly recommend Creations in Cusine catering services in Phoenix, Arizona. Known for serving delectable meals in virtually any venue in the Scottsdale, metro Phoenix area, and throughout Arizona. Whether you require a selection of delicious sandwiches, a varied food platter or something more substantial to impress your colleagues or clients, we can meet all of your lunchtime catering needs. We deliver delicious working lunches to a wide range of business clients located in and around Phoenix, with excellent service and an extensive menu of delicious food options at competitive prices. We work hard to prepare delicious food using only the freshest ingredients. From classic sandwiches, to premium crisps, homemade cakes and fresh fruit platters, we aim to make sure that we bring you the tastiest, most wholesome food in the business. Your clients and colleagues will love what we do! Whether you need food for 4 clients or 40 colleagues, we can cater to your needs at a price that is affordable to your business. We deliver to clients located in central Phoenix and surrounding areas, with reliable service, convenient delivery slots and food that's always freshly prepared just before it is delivered to you. To find out more about our business lunch catering service, get in touch with us today. We look forward to meeting your needs and serving up your next delicious working lunch. about the city and why the company loves the city. We are proud to serve Phoenix and the surrounding areas with the finest, freshly prepared food and drink. Whether you are organizing a private function or require high-quality corporate catering services for your next event, we aim to be your first choice when it comes to catering in Greater Phoenix. As experienced caterers in Phoenix, Arizona, we are extremely proud of our city, and we believe that it is a great place to be for both work and pleasure. The famous 'Valley of the Sun' is home to a thriving business community that constantly pushes us forward and inspires us to achieve greater things, whilst away from business Phoenix is a great place to live and offers every possible amenity you could want in a modern city. It has a diverse range of shops, restaurants, sporting facilities and a buzzing cultural scene, which all ensures that there is always something to do. In addition, you shouldn't forget the amazing climate that brings us many days of sunshine throughout the year! We are proud of our city and seek to do everything we can to be a valued member of the local community. We meet a wide variety of local people every day and feel proud to serve them with the highest quality services. Copyright © 2019 Premier Catering AZ. All Rights Reserved.